If you slice an apple in half, eventually it will turn brown. A copper penny suddenly becomes green, or an iron nail when left outside becomes rusty. What do all these events have in common? These are examples of a process called oxidation. Dip the sliced apple in lemon juice and the rate the apple turns brown is slowed. This result comes about due to the vitamin C in the lemon juice. In essence, Vitamin C slows the rate of oxidative damage. Since its discovery 65 years ago, vitamin C has become known as a “wonder worker.” Because of its role in collagen formation and other life-sustaining functions, vitamin C serves as a key immune system nutrient and a potent free-radical fighter. This double-duty nutrient has been shown to assist in combating many illnesses, from everyday ailments such as the common cold to certain strains of cancer. The water-soluble vitamin C is known in the scientific world as ascorbic acid, a term that actually means “without scurvy.” We depend on ascorbic acid for many aspects of our biochemical functioning; yet human beings are among only a handful of animal species that cannot produce their own supply of vitamin C. Like some other animals, such as primates and guinea pigs, we have no choice but to obtain this important nutrient through food and supplementation. Vitamin C can enhance the body’s resistance from different diseases, including infections and certain types of cancer. It strengthens and protects the immune system by stimulating the activities of anti-bodies and immune system cells such as phagocytes and neutrophils. Vitamin C as an antioxidant, helps reduce the activity of free radicals. Free radicals are by-products of normal metabolism which can damage cells and set the stage for aging, degeneration, and cancer. It shouldn’t come as any surprise that vitamin C is sometimes used to assist in cancer treatment. In large doses, it is administered intravenously as part of cancer treatment. Vitamin C may be able to prevent free radical damage in the lungs and may even help to protect the central nervous system from such damage. Free radicals are molecules with an unpaired electron. In this state, they’re highly reactive and destructive to everything that gets in their way. Although free radicals have been implicated in many diseases, they are actually part of the body chemistry. The versatile vitamin C also works along with glutathione peroxidase (a major free-radical fighting enzyme) to revitalize vitamin E, a fat-soluble antioxidant. In addition to its work as a direct scavenger of free radicals in fluids, it also contributes to the antioxidant activity in lipids. 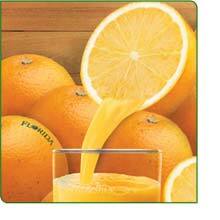 The most powerful form of vitamin C is found in the form of an Isotonic Solution. This is in the form of a powder and is intended to be mixed with a specific amount of water to turn it into an Isotonic Solution. Most tablet forms of Vit. C are absorbed at a rate of approximately 25%, whereas and Isotonic form of Vit. C is absorbed at a rate of 95%. Therefore it would be to your advantage to purchase your supplements in an Isotonic Formula to obtain the highest amount of absorption and utilization by the body without throwing money away.